I want to create a form that is a 'shopping' checklist. When submit is clicked a copy of the form returns to the person who filled it out. 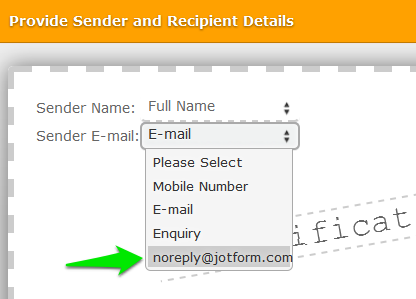 Also, please make sure that you use noreply@jotform.com as the sender email address in your email notification.